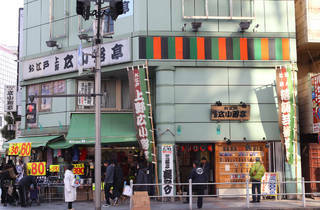 This theatre is located on a corner of the Ueno Hirokoji intersection where Chuo Dori and Kasuga Dori meet. From the 1st until the 15th of each month, you can see story-telling performances by the Rakugo Geijyutsu Kyokai’s (Association for the Art of Rakugo), over which Utamaru Katsura presides. The association puts on an appealing array of performances including storytelling, comedy, magic and folk songs. 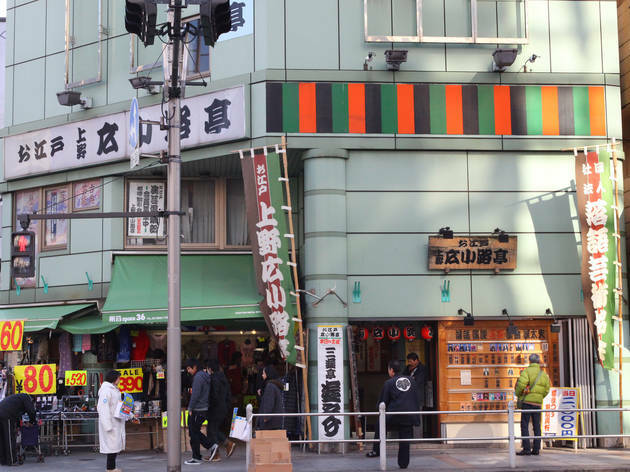 In addition, there are regularly scheduled performances, recitations of stories accompanied by shamisen, and other styles of recitation from the Enraku group and Tachikawa style. Being able to see the actors up close makes this cosy theatre a favourite.